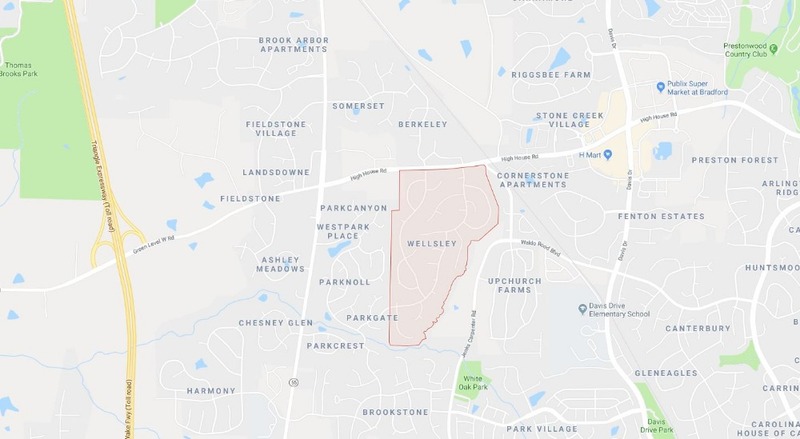 Welcome to the community website for the Wellsley sub-division of Cary, North Carolina. Wellsley is made up of 364 single-family homes, centrally located in Wake County between Raleigh, Durham and Chapel Hill. This website's access is limited to owners and renters of the community. After registering for site access above, your resident information will be verified against the existing directory and approved with 24-48 hours. If your registration information does not match current Wellsley resident data, the Webmaster will contact you for additional verification.